Welcome to the dental practice of Lucio H. Kim, DDS, a dental home where your concerns are met with respect and your feelings with kindness and compassion. We treat you like family because we love getting to know our patients and because that is what we would expect for ourselves. Glendale dentist Dr. Lucio H. Kim has been providing exceptional dental care to our patients in Glendale, Burbank, Pasadena, and the surrounding areas for 18 years. He has chosen to deliver the most updated treatments by pursuing advanced training and education in many areas of dentistry, including cosmetic dentistry and dental implantology. 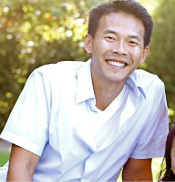 Dr. Kim is a Southern California native who is proud to carry on a family tradition of outstanding dental care – his grandfather, father, mother, aunt, and sister are all dentists! Every member of our highly experienced professional team is here because they love working in the field of dentistry. A great day for us is any day that a patient leaves our office with a healthier smile than when they arrived. We are well aware that the biggest roadblock for many people in seeking dental care is anxiety about dental visits. Our goal is to do everything possible to put you at ease so that maintaining your oral health isn't a chore. We’ll take the time to help you understand the source of your anxiety so that we can take steps to help you overcome it. Our stress-free sedation options allow us to customize your treatment so you can remain calm and relaxed while you get the care you need. Every patient is unique, so every treatment we provide begins with a conversation about what’s important to you and what goals you’d like to achieve. These conversations help us get to know you so we can provide treatment that addresses your specific needs. Your dental care is a collaborative process. We provide you with all the important facts you need and then guide you through the decision-making process. We’re always here to help, but ultimately you are in control of the direction of your treatment. In many cases, there may be more than one approach to resolving a dental problem. In this case, Dr. Kim will review your options, focusing first on those that are most conservative in terms of the type of treatment and the fees involved. We want to do everything possible to take the stress out of your dental care. You should be completely satisfied with your treatment, and we’ll work with you until we’re sure we’ve met and exceeded your expectations. Our extended hours make it easy for you to arrange appointments that fit your family’s busy schedule. We never keep you waiting for appointments, and if we find that we are running late, we’ll give you a call and let you know. Don’t let financing stand in the way of your oral health. We accept most PPO insurance plans, and a helpful member of our team will be happy to answer any questions about your specific insurance. Uninsured? Not a problem – we accept major credit cards as well as CareCredit and Springstone financing. If you’re ready to take the next step to a healthier smile, we’re ready to help! Please call our Glendale dental office to arrange a convenient appointment to meet Dr. Kim and our team. Dr. Kim was born and raised in Southern California and provides our Glendale neighbors with state-of-the-art dentistry in a friendly, welcoming environment. He looks forward to meeting you and helping your family achieve the best possible oral health.